The idea of this generally invokes one of two responses from people when we mention of the idea of recording your karaoke performances. Yes the two couldn't be further apart there's not even a hope of middle ground here, for some people the idea is enough to freak them out, they just love to sing and have some fun. But for many karaoke singers the idea is to improve their performance, so they practise the same song time and time again the same song until they nail it. 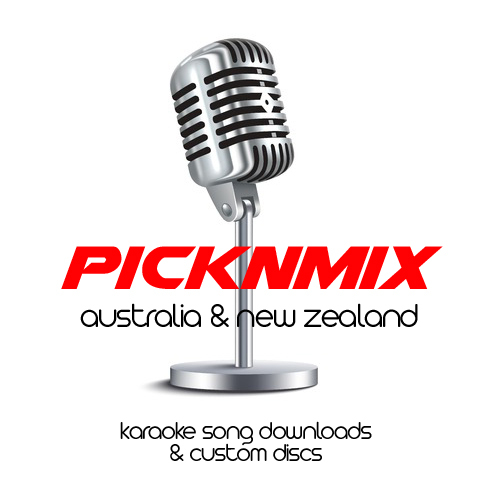 A popular way to help this process is to use Multiplex Karaoke Discs, also known as MPX. These are the same as the normal karaoke tracks but they also feature chorus line backing vocals. These discs give you the ability to switch the vocals on and off again, in real time. The stereo backing track consists of a Left and Right audio channel. 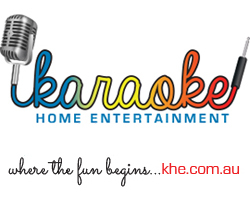 Using a Karaoke Machine you can knock out the left or right audio track, using the L/R button on your remote control. Together they play in Stereo, when you switch off the left track you drop the lead vocal leaving the just the backing track playing on the right, is is also known as the karaoke version which features the chorus line vocals only. These MPX songs let you sing along with the cover artist, no it's not going to be Kylie Minogue or Frank Sinatra but a professional cover vocalist performing the song in the style of the original artist. This way you can learn the right times to come in and get the style of the song down pat and when you think your good enough to go solo, just switch the the left track to switch off the vocalist and go for it. This technique can help you improve your singing and performances, the other way is to record yourself, so you can hear how you sound, it might explain why the police keep showing up at your home on karaoke night or why the cat has moved house. The only way to know for sure is to record and then you can work on improving your vocal sound. It was a very expense process for one our karaoke regulars who spent many hours at a recording studio. Over the last year he spent over $5000 recording his favourite songs making Cd's for his friends and family. One day when he visited the store to purchase more songs, I learnt what he was doing with the songs. When he told me how much each session was costing him I said why don't you just get one of these, it costs less then half a recording session. He looked at me like I was pulling his leg, can you really do that! Yes you can I said. We have many different solutions for recording. 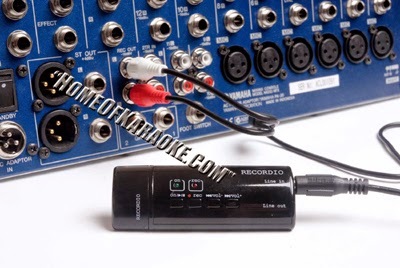 There is a portable device which will connect to any Karaoke Machine with RCA audio outputs (which is every machine/player ever made has), this portable device will also connect to any amplifier or mixing desk console with either line or record output. That means you can take this portable device which is the about double the size of a USB memory stick with you to the karaoke venues ask the DJ to connect it to the line out on his mixer press record when it's your turn and away it goes. It will record all the music and your voice straight to it's memory banks, when you're finished press the stop button and you can listen back via the headphones or connect it to your PC and take the songs off the device so you can play, mix, email, facebook, share or whatever you want to do with the songs. Sounds to good too be true? Then I better not mention what it costs because this device will give you change from a A$50 note and I am not talking cents either. This product is called the Recordio and you can get one from Karaoke Home Entertainment stores in Melbourne and Perth and online.